Selling your house is likely to be one of the biggest financial transactions you’ll make in your lifetime, involving your most valuable asset. But in a crowded online listing market, with just seconds to snare a buyer’s attention, smart internet marketing strategies are needed to differentiate your listing from the competition. So how do you make your property listing really stand out? Hiring an expert real estate photographer to take beautiful photos allows you to present your property in as appealing a manner as possible, increasing lead generation efforts and ultimately pushing up the sale price. Talented photographers can make a massive difference to the quality of your listing and its ability to attract potential buyers, by presenting your property in its absolute best light. They showcase what is unique about the property and play up the positive aesthetics to create the best possible first impression. While everyone with a smartphone calls themselves a photographer these days, architectural or real estate photography requires skill and finesse in order to properly capture the interior and exterior of your property as attractively and in as much detail as possible. Here, we have compiled an average photography price list for each Australian capital city. To our surprise – it’s relatively affordable to hire a professional real estate photographer. Top-performing real estate agents will render the marketing process of selling your property stress-free. If in doubt about hiring a photographer, don’t be afraid to talk to us about finding a top-selling real estate agent who can help you out. How Much Does A Real Estate Photographer Cost? How much does real estate drone photography cost? The fact that buyers conduct their home-hunting journey online is inescapable. 95% of respondents in a survey conducted by Google, in conjunction with the National Association of Realtors in the US, said they used the internet to search for properties. 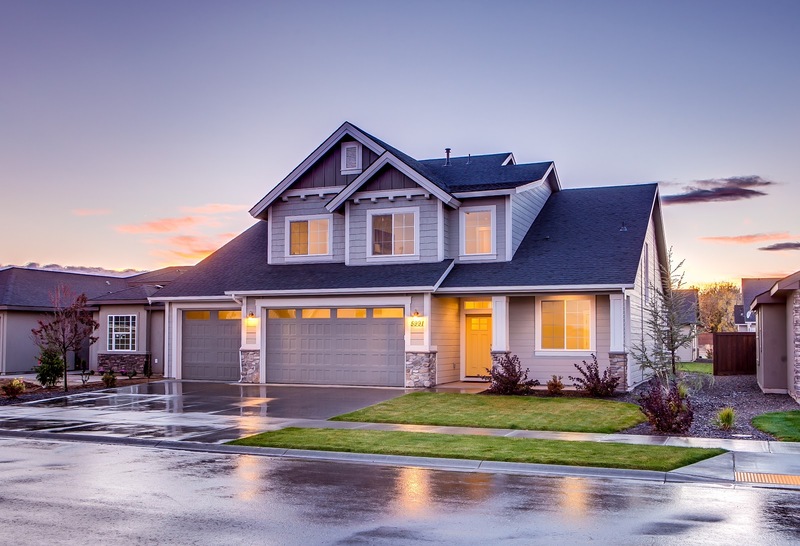 This highlights the critical importance of adding high-quality photos to your listing to show it in its best light and create that all-important emotional connection with potential buyers. The research also reveals that 89% of home buyers find photos very useful, 50% find virtual tours very useful, 44% find neighbourhood information very useful, and 56% of agents do not yet use drone photography. These findings point to the need to consider video, virtual tours and drone imagery as well as still photos in order to create the most effective property listing. Elsewhere in the US, a statistical study has even shown that the quality of photography can add anywhere between $1,000 to more than a staggering $100,000 to the final sale price –a real impetus for sellers to create a high quality marketing campaign with truly stunning photos. And here in Australia, a property photography company surveyed 600 real estate agents on how they market properties and reported that 99% of agents said high-quality photos generated more interest among buyers. The agents polled said that high quality images attracted more buyers (89%), increased enquiries (79%), increased click-throughs to their online listings (68%) and secured a higher selling price (52%). It’s clear that the aim of the game is to tell a visual story using amazing photographs to pique interest and persuade potential buyers to make contact. But how do you find a skilled professional real estate photographer who can make the ordinary appear extraordinary, who understands light and how to create ambience, who can use their skills to artfully frame and compose beautiful images, who knows how to draw attention to details of the spaces and how to accentuate certain features? Real estate agents will often be your first port of call when searching for the best photographer for your needs. You can contact agents asking for recommendations based on their experience, enabling you to connect with someone experienced. To quickly compare top-performing agents in your area, visit our homepage. You can also specifically search for real estate photographers online and use their portfolios and customer reviews to guide your choice. Searching for an accredited professional photographer is also possible at the Australian Institute of Professional Photography. Obviously, a real estate photographer’s portfolio will go a long way towards helping you decide on their skill level in taking real estate photos, but reading online reviews can also help you decide whether working with the photographer will be a positive experience in itself, regardless of the quality of the resultant images. Once you’ve narrowed down a shortlist, you can then contact the photographers to obtain exact details of pricing and services based on your specific needs. Have they represented this calibre of property before? Will their photos be appealing to your core audience? Will the photographer listen to your photography preferences? What is their customer service like? Will they be easy to work with? Are they easy to communicate with? Will they edit photos to your satisfaction? What are their retouching skills like? What is their shoot time and can they complete the assignment in the right time frame? What is their availability like to get a shoot done at short notice? Can they price-match with their competition? Can they work with you if you need additional marketing materials (e.g. signboards, listing ads, flyers)? Ultimately, can you entrust them with your most valuable asset? But what are property photography prices like? Just as property prices vary, so do the costs of real estate photography services. Factors influencing cost include the location and any related complexities such as ease of access, the type of shoot, the amount of preparation work involved, the photo quality required, the number of shots needed, and the usage license. Here are some things to consider in relation to photography prices. Make sure you obtain all the exact pricing details before hiring them. Be clear about the final price of the shoot, and whether post-production processes will be included in the price. Check also if there are extra charges for the photographer’s travel time or for any additional time spent on shoots. Avoid anyone who charges based on the value of the property. Charges should only vary depending on the size of the home, not its selling price. Check your permitted usage. The images are regarded as intellectual property of the photographer, and therefore a license agreement is typically required for usage rights to the images. Most photographers’ fees will include a standard license or marketing usage agreement incorporating most of the standard marketing uses for images. Any additional usage you require will be charged extra, so ensure you have agreed everything prior and signed off in writing. Ask for a fixed price for deliverables, rather than being billed by the hour. Some photographers do charge per day for a professional photo shoot, with a whole day costing anywhere between $1,500 and $15,000. However in most cases, photographers will charge for a final number of photos. Note that some photographers work on commission–that is, without upfront charges, instead being paid when the property sells. It’s worth checking whether this option is available. When considering which photographer to hire, remember that “you get what you pay for”, and avoid rock bottom bargain prices as they are likely to reflect inexperience. Conversely, there’s no real point paying more than the mid-range of prices because at a certain point there are diminishing returns in quality. If you are considering hiring a photographer who is charging far more or far less than what is average for your area, make sure you take the time to check out their portfolio and reviews thoroughly. Of course, you can hire beginner photographers for much cheaper than experienced ones, but most agents prefer to hire a professional who has a proven track record and employs good business practices. ages. For example, a basic shoot of daytime images might cost $150 to $350 for a set of stills, compared with $200 to $750 for a dusk photo. This reflects the increased appeal that twilight photos hold. Sunset tones enhance the mood and romanticism of a home, and most properties simply look better at dusk. Similarly, elevated shots (usually from a height of 20 metres or so) improve the street appeal of a house, and will usually add another $150 to the cost. Standard packages often include post-production edits but make sure you check your agreement carefully. If post-production is not included in the price, expect to pay around $15 per photo for digital decluttering services, and for virtual staging of an empty house with digital furniture, around $45 per image. Video prices will be higher than stills, and depend on the length of the video, the editing needed, voiceovers and sound, etc. On average, videos cost around $225 per 30 seconds. Post-production processes like editing and retouching can greatly improve your raw images to help portray your property in its best possible light. Advanced post production and photo editing skills enable professional photographers to edit pictures, taking into account things like lighting conditions, composition, colour balance and other technical considerations. Aside from technical fixes, digital retouching may include “cleaning up” images, for example to remove cloudy skies which may alter the overall mood, and replacing them with a blue sky. Some agents like to create a cleaner looking swimming pool or greener lawns, but this must remain realistic. It’s not appropriate to simply insert a lush lawn onto barren soil—and it is sometimes even illegal. Misrepresenting a property through inappropriate editing could lead to charges of engaging in misleading or deceptive conduct or the making of false or misleading representations, which carry hefty maximum penalties of $220,000 for individuals and $1,100,000 for corporations. So it’s crucial to ensure that post-production processes do not result in deceptive or illegal alterations being made to images. While it’s fine to remove distracting objects like garbage cans or parked cars from images, permanent fixtures such as power lines or neighbouring fences must be retained in the image. And while it’s fine to make rooms appear as attractive as possible, you must not create a misleading image, for example, by artificially distorting the room’s size. Elements of post-production staging which are permissible include adding digital furniture or manipulating the position of existing furniture. Little details can be addressed, such as levelling blinds or turning on or off lights. How much does a real estate photographer cost in Australia? Here, to give you a general idea, we’ve compiled some ballpark prices for real estate photographers in Australia’s capital cities, noting that prices in small towns or regional areas are usually lower. Daylight photo packages start at around $295 for 6 images (including digital enhancement) and twilight photo packages start from $370. During daylight hours, 10 images can be obtained for around $165, which rises to $440 at dusk. You can get 8 retouched photos for as little as $110, and some photographers simply charge an additional $50 for twilight photos. Adelaide real estate photographers charge from a basic $95 for 10 photos, increasing to $210 for twilight images. In Perth you will be looking at prices from $145 for 12 photos from a daytime shoot, or around $260 for twilight photographs. Basic packages are from $100 for 8 photos, and dusk photos are around $50 more. Property photography in Canberra can start at $180 for 8 photos, with twilight prices around $200. 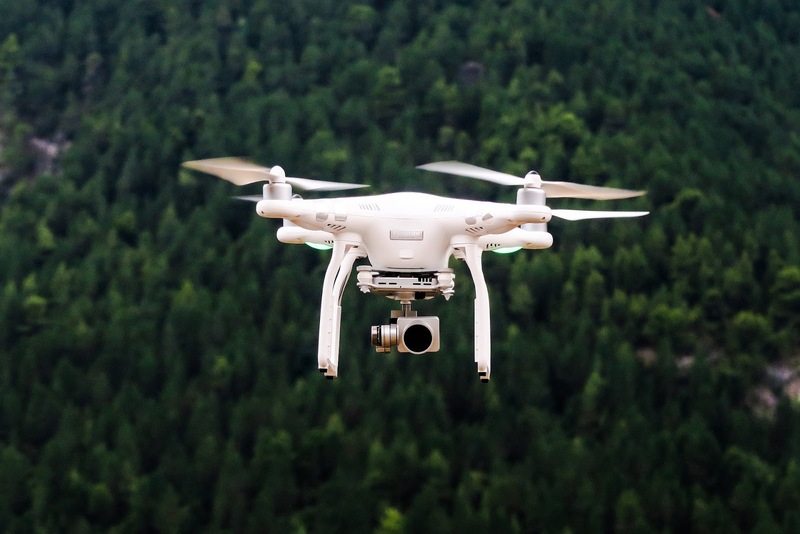 Drones are fast becoming a key sales tool in the real estate industry, but as at 2019 there is still a certain novelty factor in their use, so it’s a fantastic way to make your listing stand out. Essentially flying cameras, drones allow you to create a beautiful story and deliver a lot of information quickly by taking aerial photos and videos at a fraction of the costs that were involved for perspective photography in the past (hiring a helicopter, anyone?). There are many advantages in utilising real estate drone photography to offer a bird’s eye view of your property and local area. Detail: You can show off your entire property in all its dimensions, inside and out, helping buyers fully visualise the space. Selling points and property features can be highlighted, such as the condition of the roof, beautiful landscaping or pools and waterfronts. mity to local amenities such as schools, parks, beaches or transport routes.&nbsp; Drone photos also portray the general vibe of an area, such as if it’s leafy or industrial. Adding value: A professional drone operator can create compelling virtual tours, with the drone flying right in the front door of your house and travelling through all the rooms, coupled with voiceovers and soundtracks for added appeal. Shareability: Because of the “wow” factor and the creative possibilities, drone photography is highly engaging and if done well, buyers are more likely to share the video on social media while on their property hunting journey. There are, however, some disadvantages to drone use. For ordinary properties, they may be of limited value, being more suited to properties at the higher end of the market. Drones are also inappropriate for fixed position photography and are unsuitable for small interior spaces. There are also sometimes security issues to contend with, such as avoiding capturing images of neighbours, or exposing any vulnerabilities the house may have to intruders, causing a security risk. And drone imagery will not remove the need for the traditional street level or curb shots which are still expected in listings by buyers. However, drone photography can give you the competitive edge, showing viewers that you will go the extra mile to create truly jaw-dropping listings, so it’s definitely worth considering as part of your internet marketing strategy. Drone operators usually quote on a job-by-job basis because of the sheer number of variables involved. These include site location, personnel and equipment required, the amount of preparation required (site surveying, or obtaining special permissions, etc.) and length of time needed on site. While prices vary, outsourcing to a camera drone operator will usually cost between $300 to $500 to produce a one to five minute video plus 10 high quality aerial still photos taken in and outside the home. Detailed video tours of the whole house may raise the cost to as much as $1,000. As always, make sure to check whether post-production edits are included in the price. For commercial purposes, drone operators need a licence from the Civil Aviation Safety Authority (CASA). You can find a CASA-certified drone operator at the Australian Certified UAV Operators website. All drone operators listed here meet all safety and insurance requirements for typical commercial drone applications. Homes sell even with bad photos. But amazing photos help your home sell faster and attract more potential buyers to compete to drive the price up. So if your goal is to achieve the best sale price outcome, hiring a professional real estate photographer is absolutely essential. We can connect you to top real estate agents in your area to discuss your real estate photography needs. Click here to speak to our team today; they’ll be able to provide you with details of top-performing local real estate agents based on our statistical analyses of recent sales near your property and the local selling agents’ historical performance. Top agents will work with and recommend experienced, professional photographers who can present your property in the best light.